During a quick hike through South Mountain Park in Phoenix, Arizona yesterday, I spotted a Messor Pogonomyrmex rugosus harvester ant mound. 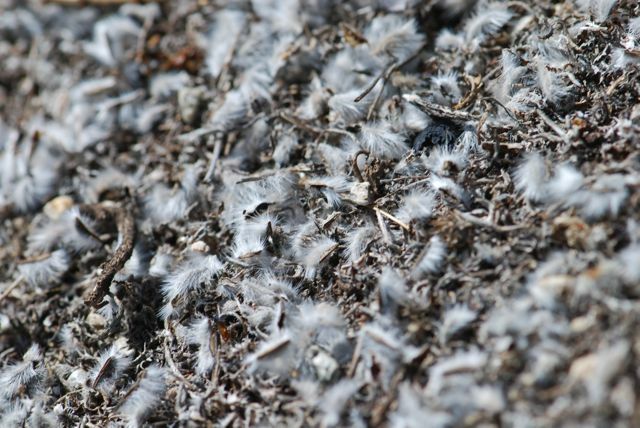 The refuse or midden pile was covered with a fluffy material. 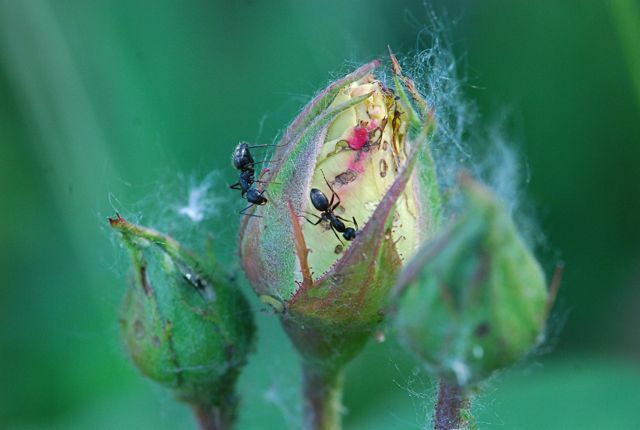 The ants apparently have been collecting the seeds of this plant, and discarding the seed coats. It is a common plant in the Sonoran desert. Do you know what it is? 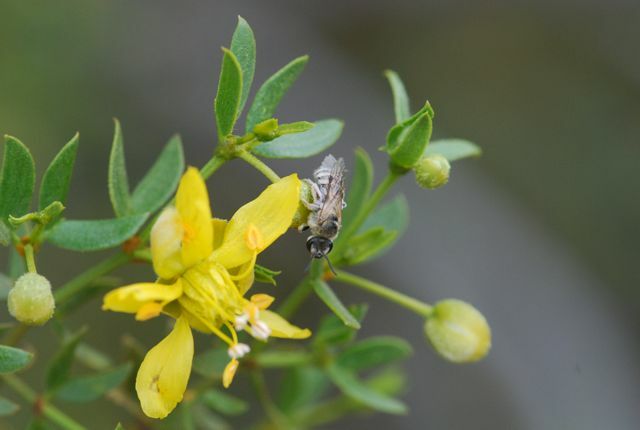 The plant is a food source to a range of insects as well as Messor harvester ants, including more than 20 species of bees. 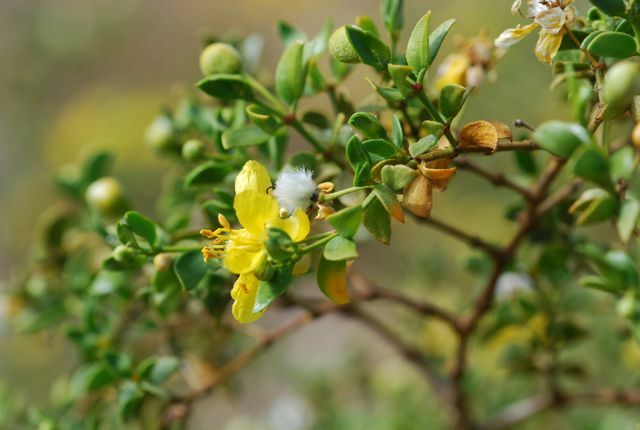 It is the common creosote bush, Larrea tridentata. 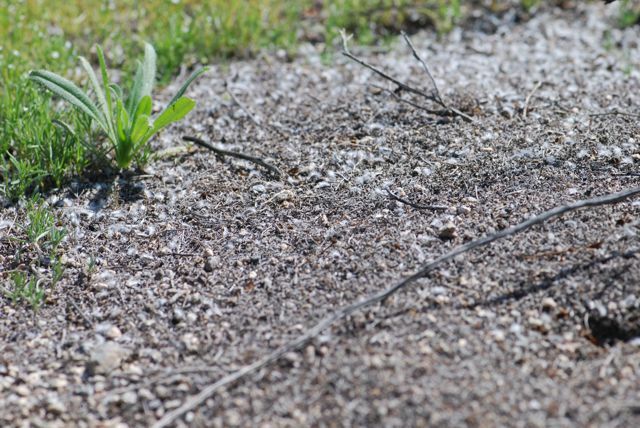 The midden piles of harvester ants, as with many other types of ants, are known to improve the nutrient levels in the soil in the immediate area. Tomorrow I will post more about Messor harvester ants. Hum, now that I think about it, I wonder if “midden piles” is redundant, because midden is a trash heap. Anyone out there help me out on this? Edit: Thanks to Alex Wild for pointing out that these ants were Pogonomyrmex rugosus, not Messor. Edit: Here’s a photo of Pogonomyrmex rugosus. 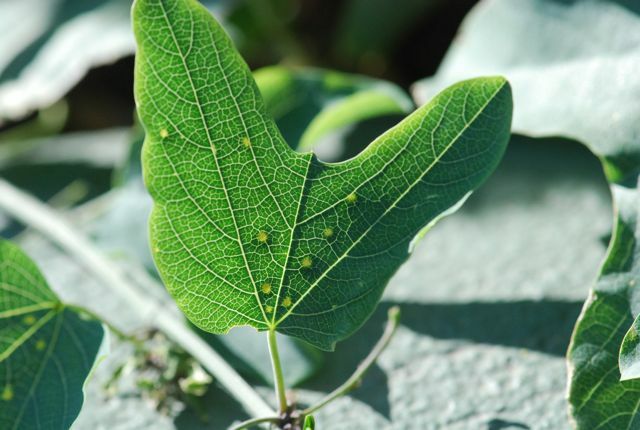 Any ideas what the yellow dots are on this Passiflora leaf? Are insects involved? It turns out that insects are part of the story, but probably not in the way that you might think. This is one of the insect characters, the larva of a Heliconius butterfly. The female butterfly lays yellow eggs on passion vine plants, mostly in the tropics. The larvae consume a great deal of the plant before pupating. 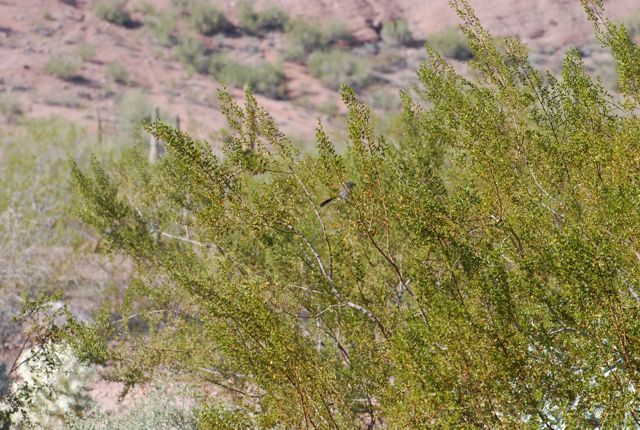 In Arizona, another species can wipe out passion vines. 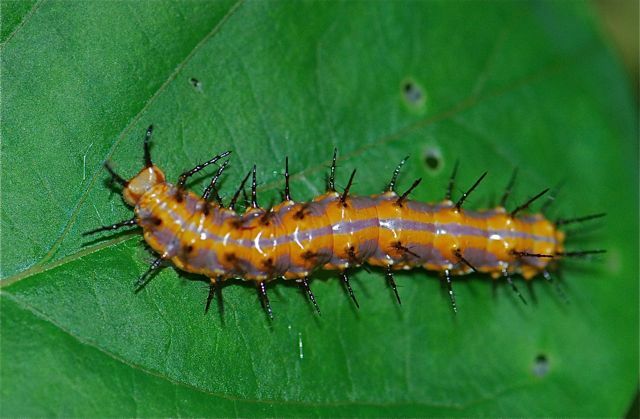 This is the larva of the gulf fritillary butterfly, Agraulis vanillae. Researchers have shown the yellow spots on the leaves are made by the plants as a defense against these butterflies. When the butterflies lay eggs, they avoid laying on plants where another female has already deposited eggs. The yellow spots mimic eggs and thus fool the butterflies into going elsewhere. That is only part of the story, however, because the yellow spots serve another purpose. Those are nectaries, glands that produce nectar. 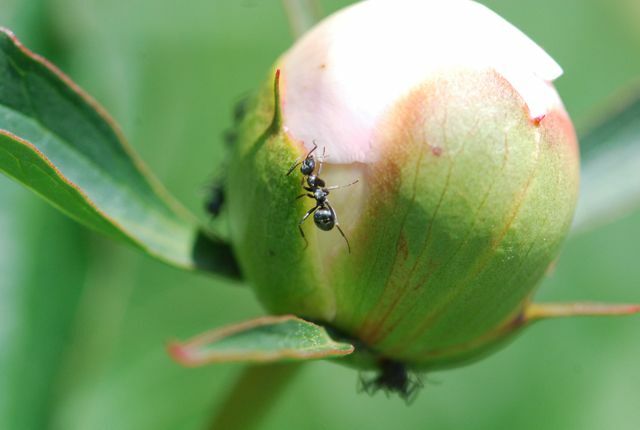 The free source of food attracts ants, which in turn defend the plant against any butterfly larvae that do hatch. I have to say that at first glance the plant fooled me too. Did it fool you? Did you think those were insect eggs? 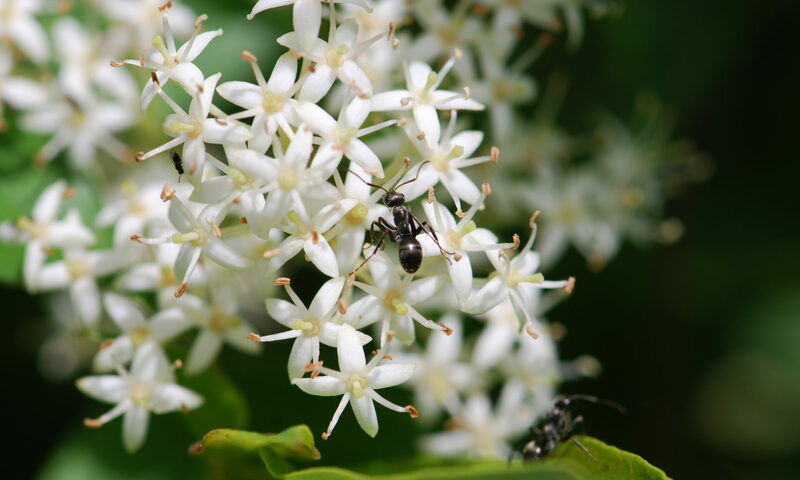 The theme today for Life Photo Meme at Adventures of a Free Range Urban Primate blog is “honor an invertebrate.” Why not ants that protect plants? 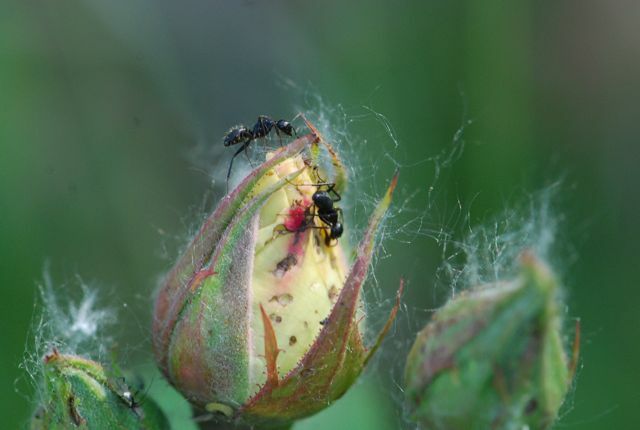 After finding out about ants on peony buds last week, what do you think these ants on rose buds are doing? 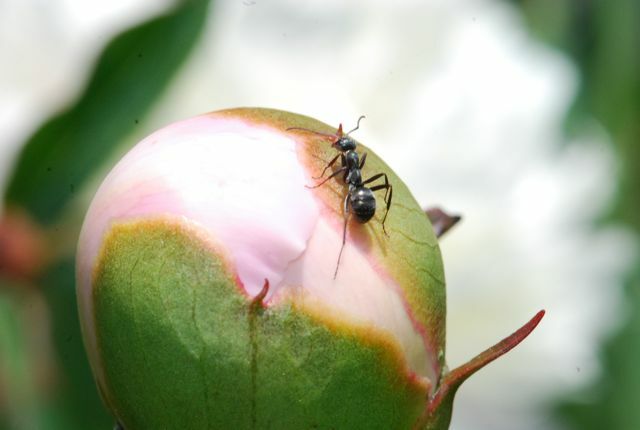 Do you know why ants sit on peony buds?